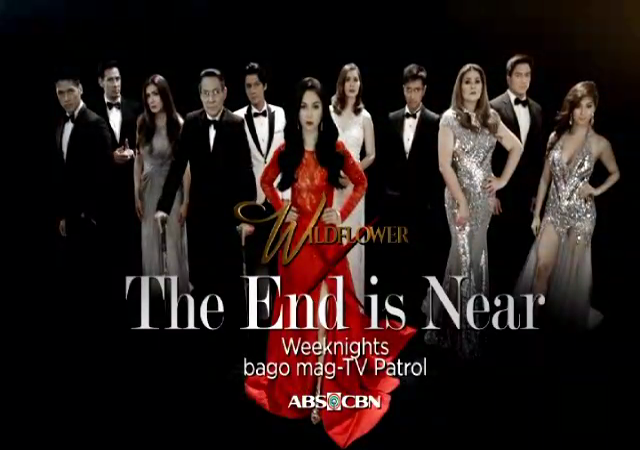 ABS-CBN’s hit primetime series “Wildflower” finally revealed that TEN stands for “the end is near,” giving viewers a hint that the show’s finale is just around the corner. A new video that aired after the program’s episode Friday (Jan 12) night featured the cast and Wendell Ramos’ photo vanishing, following his character Raul’s death. Fans were quick to react on social media and expressed how much they will miss “Wildflower,” even though the show did not mention a definite date for the finale. “I can’t imagine life without Wildflower. Whyyy. #WildflowerTEN,” said Twitter @yourmajestyivy. “I can’t accept the fact that ‘The End is Near.’ My most loved drama is on its way to the end. I’ll also miss the everyday outfit of @dprincessmaja I kennat.” shared @ownlydyanri_. “I can’ take #WildflowerTEN I don’t want ‘Wildflower’ to end. I am not ready yet!” expressed @iammarifhelts. “Please extend the show. Make it reach even until August please #WildflowerTEN,” pleaded @maxwellchan4. After Raul’s death, Emilia is fired up to kill Camia and Lily. Next week, Emilia and Lily will face off and try to outsmart each other after having respectively held each other’s mothers captive. Don’t miss “Wildflower,” weeknights before “TV Patrol” on ABS-CBN or ABS-CBN HD (SkyCable ch 167). For updates, follow @wildflowerabscbn on Instagram, @RSBDramaUnitNew on Twitter and like the show’s official Facebook page at https://www.facebook.com/wildflowerchannel2/. Catch its latest episodes on iwantv.com.ph or skyondemand.com.ph for Sky subscribers.